Spring Dale Resorts is a delightful cozy property with cottage style architecture and bright, comfortable interiors. 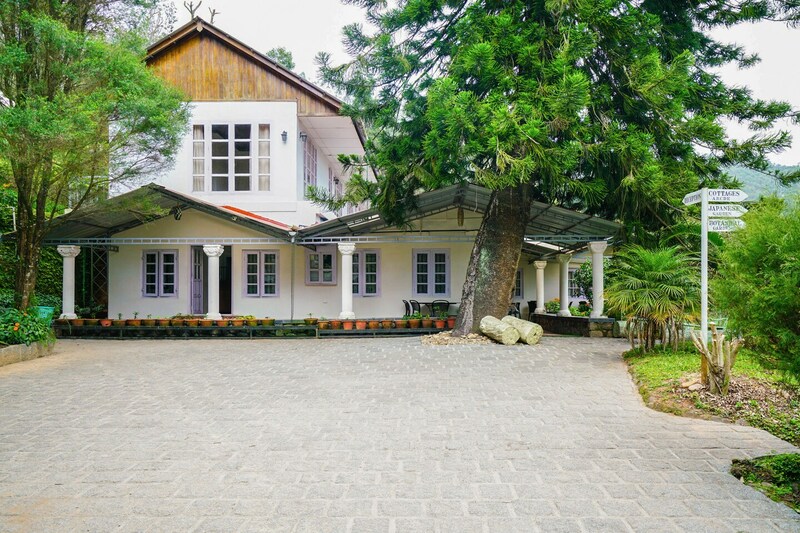 Located in Devokulam, Munnar, the resort offers rooms decorated in a traditional way with minimal decor and classic wooden furniture. The rooms come with all modern amenities like TV, queen size bed and cupboards to ensure your comfort. The bathrooms are clean and fitted with trendy sanitary wares. There is a stylish living and dining area available too. A sprawling verandah offers wonderful views of the greenery and hills outside. Advanced security measures and power backup add to the comfort factor here.